Bowman, J. L., Araki, T., Arteaga-Vazquez, M. A., Berger, F., Dolan, L., Haseloff, J., Ishizaki, K., Kyozuka, J., Lin, S. S., Nagasaki, H., Nakagami, H., Nakajima, K., Nakamura, Y., Ohashi-Ito, K., Sawa, S., Shimamura, M., Solano, R., Tsukaya, H., Ueda, T., Watanabe, Y., Yamato, K. T., Zachgo, S. and Kohchi, T. (2016). The Naming of Names: Guidelines for Gene Nomenclature in Marchantia. Plant Cell Physiol 57(2): 257-261. Lee, C. T., Chen, I. T., Yang, Y. T., Ko, T. P., Huang, Y. T., Huang, J. Y., Huang, M. F., Lin, S. J., Chen, C. Y., Lin, S. S., Lightner, D. V., Wang, H. C., Wang, A. H., Wang, H. C., Hor, L. I. and Lo, C. F. (2015). The opportunistic marine pathogen Vibrio parahaemolyticus becomes virulent by acquiring a plasmid that expresses a deadly toxin. Proc Natl Acad Sci U S A 112(34): 10798-10803. Liao, H. F., Mo, C. F., Wu, S. C., Cheng, D. H., Yu, C. Y., Chang, K. W., Kao, T. H., Lu, C. W., Pinskaya, M., Morillon, A., Lin, S. S., Cheng, W. T., Bourc'his, D., Bestor, T., Sung, L. Y. and Lin, S. P. (2015). Dnmt3l-knockout donor cells improve somatic cell nuclear transfer reprogramming efficiency. Reproduction 150(4): 245-256. Huang, C. H., Hsiao, W. R., Huang, C. W., Chen, K. C., Lin, S. S., Chen, T. C., Raja, J. A., Wu, H. W. and Yeh, S. D. (2015). Two Novel Motifs of Watermelon Silver Mottle Virus NSs Protein Are Responsible for RNA Silencing Suppression and Pathogenicity. PLoS One 10(5): e0126161. Lin, Y. L., Ma, L. T., Lee, Y. R., Lin, S. S., Wang, S. Y., Chang, T. T., Shaw, J. F., Li, W. H. and Chu, F. H. (2015). MicroRNA-like small RNAs prediction in the development of Antrodia cinnamomea. PLoS One 10(4): e0123245. Wen, C. H., Lin, S. S. and Chu, F. H. (2015). Transcriptome analysis of a subtropical deciduous tree: autumn leaf senescence gene expression profile of formosan gum. Plant Cell Physiol 56(1): 163-174. Yang, Y. T., Chen, I. T., Lee, C. T., Chen, C. Y., Lin, S. S., Hor, L. I., Tseng, T. C., Huang, Y. T., Sritunyalucksana, K., Thitamadee, S., Wang, H. C. and Lo, C. F. (2014). Draft Genome Sequences of Four Strains of Vibrio parahaemolyticus, Three of Which Cause Early Mortality Syndrome/Acute Hepatopancreatic Necrosis Disease in Shrimp in China and Thailand. Genome Announc 2(5). Yang, Y. T., Lee, D. Y., Wang, Y., Hu, J. M., Li, W. H., Leu, J. H., Chang, G. D., Ke, H. M., Kang, S. T., Lin, S. S., Kou, G. H. and Lo, C. F. (2014). The genome and occlusion bodies of marine Penaeus monodon nudivirus (PmNV, also known as MBV and PemoNPV) suggest that it should be assigned to a new nudivirus genus that is distinct from the terrestrial nudiviruses. BMC Genomics 15: 628. Wang, L. Y., Lin, S. S., Hung, T. H., Li, T. K., Lin, N. C. and Shen, T. L. (2012). Multiple domains of the tobacco mosaic virus p126 protein can independently suppress local and systemic RNA silencing. 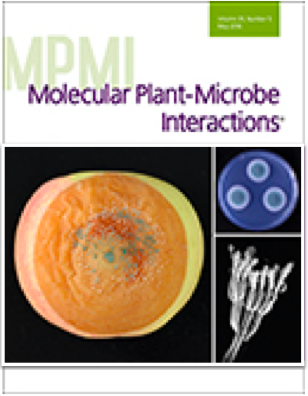 Mol Plant Microbe Interact 25(5): 648-657. Kung, Y. J., Lin, S. S., Huang, Y. L., Chen, T. C., Harish, S. S., Chua, N. H. and Yeh, S. D. (2012). Multiple artificial microRNAs targeting conserved motifs of the replicase gene confer robust transgenic resistance to negative-sense single-stranded RNA plant virus. Mol Plant Pathol 13(3): 303-317. Lafforgue, G., Martinez, F., Sardanyes, J., de la Iglesia, F., Niu, Q. W., Lin, S. S., Sole, R. V., Chua, N. H., Daros, J. A. and Elena, S. F. (2011). Tempo and mode of plant RNA virus escape from RNA interference-mediated resistance. J Virol 85(19): 9686-9695. Lin, S. S., Martin, R., Mongrand, S., Vandenabeele, S., Chen, K. C., Jang, I. C. and Chua, N. H. (2008). RING1 E3 ligase localizes to plasma membrane lipid rafts to trigger FB1-induced programmed cell death in Arabidopsis. Plant J 56(4): 550-561. Chen, C. C., Chen, T. C., Raja, J. A., Chang, C. A., Chen, L. W., Lin, S. S. and Yeh, S. D. (2007). Effectiveness and stability of heterologous proteins expressed in plants by Turnip mosaic virus vector at five different insertion sites. Virus Res 130(1-2): 210-227. Zhang, X., Yuan, Y. R., Pei, Y., Lin, S. S., Tuschl, T., Patel, D. J. and Chua, N. H. (2006). Cucumber mosaic virus-encoded 2b suppressor inhibits Arabidopsis Argonaute1 cleavage activity to counter plant defense. Genes Dev 20(23): 3255-3268. Zhang, X., Henriques, R., Lin, S. S., Niu, Q. W. and Chua, N. H. (2006). Agrobacterium-mediated transformation of Arabidopsis thaliana using the floral dip method. Nat Protoc 1(2): 641-646..